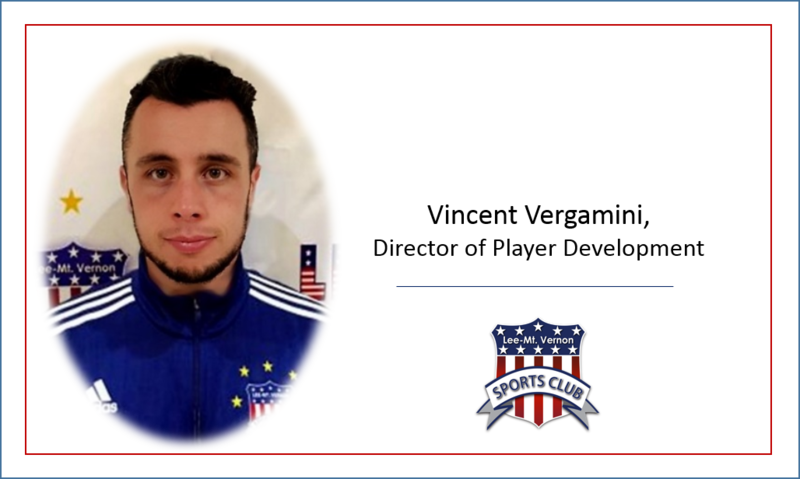 Alexandria, VA – The Lee Mount Vernon Sports Club (LMVSC) is excited to announce Vincent Vergamini as the new Director of Player Development starting February 1st, 2019. He will be responsible for training, developing, and supervising all Instructional Soccer programs and activities. His role will be vital both administratively and directly on the field to ensure that LMVSC’s Instructional Developmental Pathway programs continue to grow and develop. Vincent currently is in the process of completing his USSF A Soccer Coaching License, holds a USSF B Soccer Coaching License, a Director of Coaching Diploma, a Goal Keeper Level 1 Diploma and a USC Special Topic Diploma on Principles of Attack and of Defense. He brings a little over 15 years of coaching experience at the High School and Club level of competition. 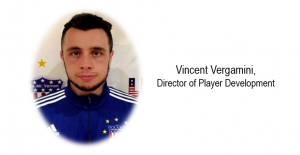 As a former Academy Director for another youth organization, Vincent will be a true asset to the club and to the Instructional Developmental Pathway program, specifically.